Normally I wait until Sunday night to update the blog but there have been a number of tasks completed in the past few days and I have a few extra minutes on the computer tonight so I thought I would get a start on the weekends post. 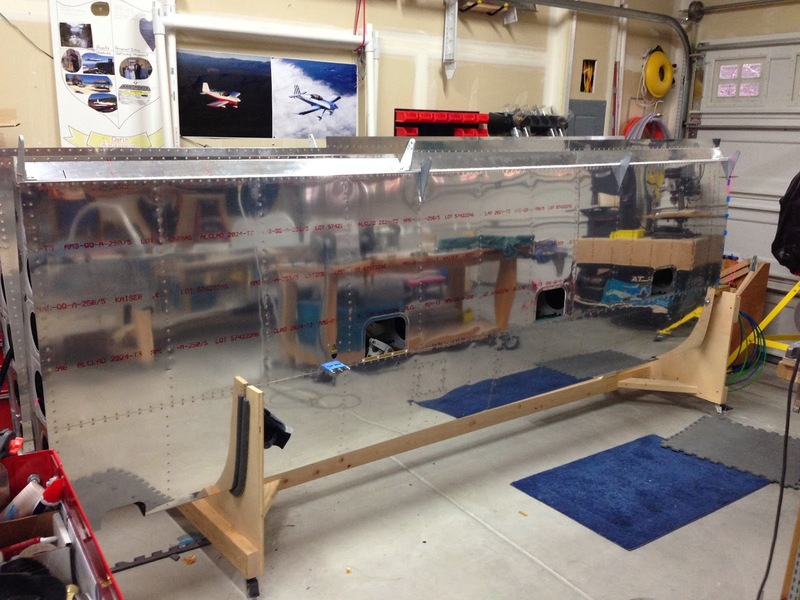 First, my friend Jeff came over Thursday evening and helped me start the process of riveting the lower skins on the wings. We got all the top 7 or 8 rows of rivets done before the 8pm witching hour (can't make noise after 8 if I want to stay on the neighbors good side. Today I was able to finish the rest of the rivets in that skin. Next up another EAA chapter friend (Andy Karmy) will be coming over tomorrow to help me with the other wing. I am really looking forward to having Andy over here because he is known for his incredible speed in building airplanes. I am hoping to get a tip or two from him. I just have to stop a second and say that I have never met a better group of people in my life than those I have been introduced to since I started building this airplane! It started with Jeff, the Harry, and now the list is never ending! Oh, one more thing for today. I had my second tech counselor visit today by Brian lee. He was nice enough to take some of his weekend to stop by and run a knowing eye over my work so far. I must be doing it right because he had some very nice things to say about my work thus far. Here is the box with my finishing kit inside! Amy and I picked it up on Friday. 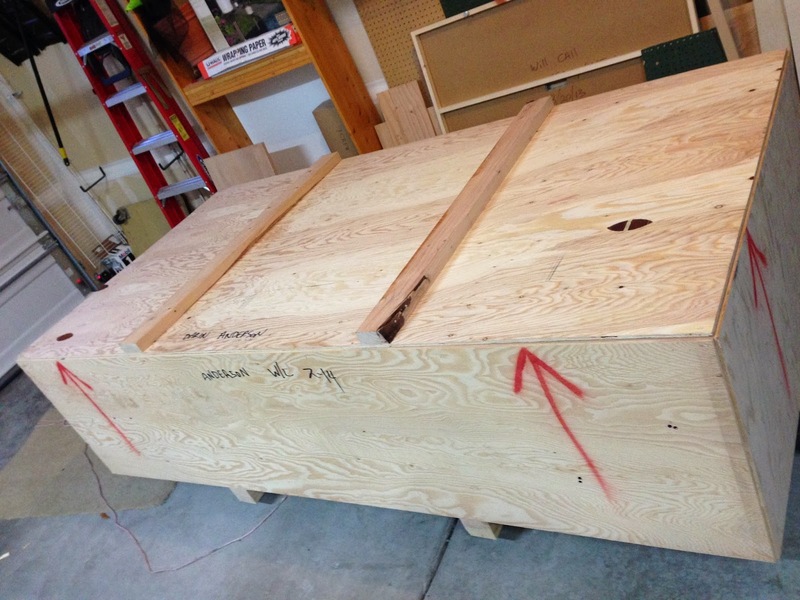 Just for reference this box is over 4 feet wide, 8 feet long and about 29" high. 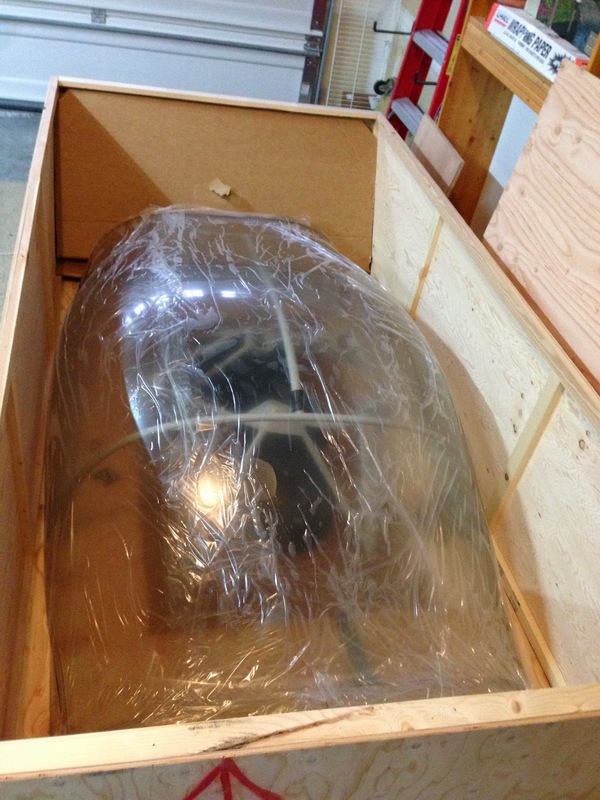 These are a few of the fairings that came in that big box. I am running out of room to put stuff in the garage! 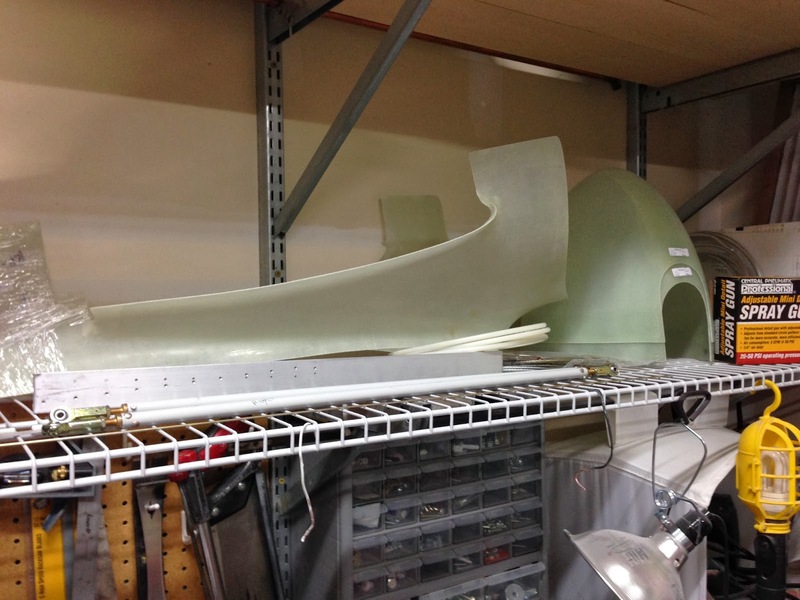 Here is the wing after finishing up the riveting on the bottom skin. Still several tasks to complete here such as riveting in the pitot mast, installing the nut-plates for the access panels and the wing tips. I'm sure there are several more tasks but those are the big ones that come to mind. Here are the tech counselor comments that Brian left for me today.